Aussie Car Carriers strive for excellence in every aspect of our locally owned and operated business, offering reliable and professional car, motorbike, boat, and caravan transportation. Whatever your industry, our trustworthy transportation solutions are aimed at a wide range of business needs. Their modern fleet and the highly reliable team will handle your cargo with complete care and the uppermost professionalism. They have a large selection of vehicles catering to a broad range of freight and transportation requirements. All of their transportation are equipped with all the necessities to guarantee safe and secure handling of your cargo, and their team of moving experts will tailor their solutions to your individual requirements and needs. Aussie Car Carriers take great pride in being able to offer and provide for you efficient, effective, and excellent car transportation and logistical solutions for your business. They offer services across the Northwest, Southwest, Metro WA, and Interstate areas, delivering safely and on time, every time. Aussie Car Carriers promise to deliver excellent service on time, providing safe, secure and speedy transportation of your cargo. Their professional and friendly team can provide you with a variety of flexible solutions, catered to suit your specific needs. Whatever your industry, our trustworthy transportation solutions are aimed at a wide range of business needs. Transportation Services - They have a large range of modern vehicles cater to a broad range of freight and transportation requirements, equipped with all the necessities to guarantee a safe and secure handling of your cargo and they move anything with wheels in reasonable prices. They also do vehicle storage at a very completive rate with the storage capacity of up to 1200 vehicles. In Aussie Car Carriers you’ll receive fast and reliable delivery, professional logistical systems and great services. They offer free, no-obligation quotes, an after-hours service, and fast turnaround times. For all this, offered to you with their famous friendly service. Call their logistical consultants today on 08 9443 9913 or email them for a free quote to discuss your transportation solutions across Western Australia. 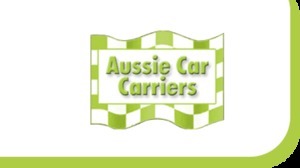 Or visit their site aussiecarcarriers.com.au for more information.